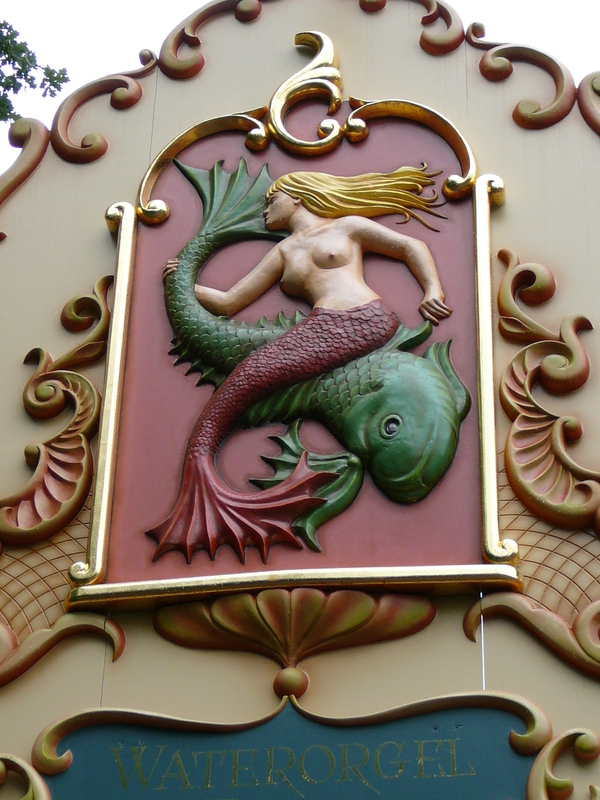 Efteling’s Waterorgel is located in the Steam Carousel building. The sign remains pointing to the entrance, but it hasn’t been operational for a good few years now. If you’ve never seen it before, think of it as a mini Aquanura. It is currently used as a television studio for Efteling Media, but according to looopings.nl, Efteling have been refurbishing the space, and hinting that it may re-open again (hopefully). It seems that once they finish filming what they are currently filming in there, that they could then concentrate on renovating the organ. Apparently, the organ is still there and intact, just boarded up for now. The Waterorgel has been located in Efteling since 1966, so by today’s standards it is a little bit dated, however there does seem to be a lot of love for the organ from Efteling fans. As you look at the Steam Carousel, you’ll see there are 3 entrances; the middle one takes you to the carousel, the right side takes you to the Diorama, and the left side takes you to the Water Organ. Of course, without the organ there, there isn’t much reason to go through that entrance. 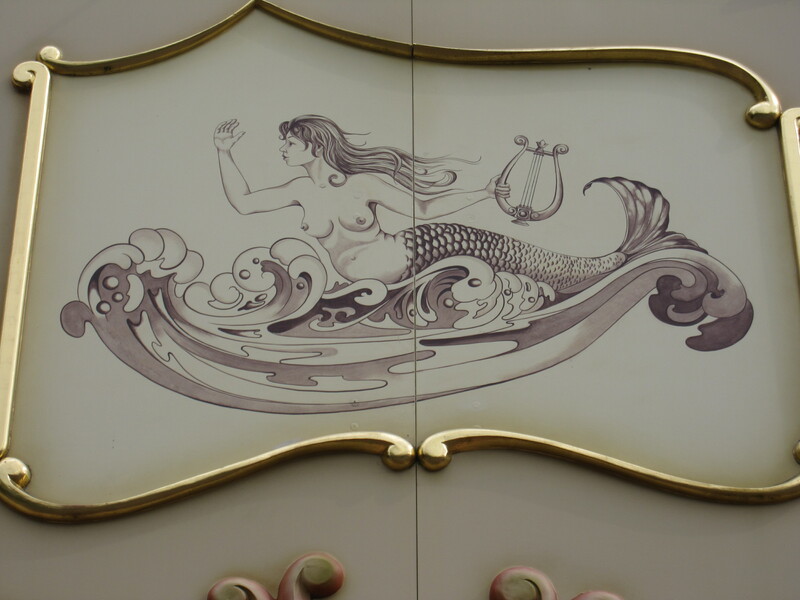 However, if you look up above and around the entrance, you will see many water-related images, mainly mermaids and fish; something you wouldn’t really understand the relevance of if you aren’t aware of the organ being there. Inside at either side of the dancing fountains there were also two mermaid statues to be found. Many years ago, before Efteling opened for Winter, many props and figures from around the park were taken into the Water Organ Hall for maintenance. 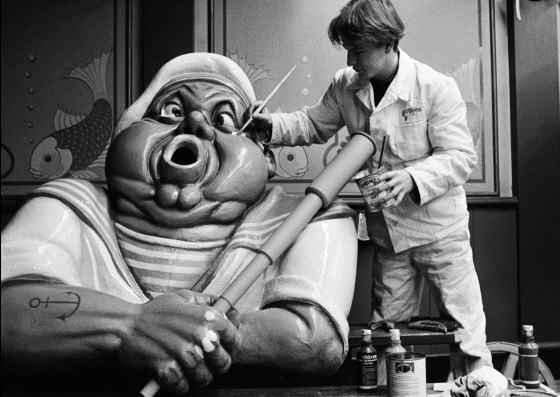 On this photo of Sailor Gijs undergoing maintenance from 1991 you can see a fish painted on the wall in the background, so no prizes as to guessing where he’s sitting! Hopefully the organ will be renovated soon and opened up again to the public. Better to have at least something in that side of the Carousel building than just an empty room, and the organ really does have its own charm!